Wild: I’m not entirely sure how Therizinosaur Multiensis stays populated on the island. It is surprising slow for it’s size, and is a solitary creative (so no pack to back it up). I suppose the fact that it’s sheer power rivals Tyrannosaurus is the only thing that allows this very aggressive medium-sized herbivore to thrive on the island. 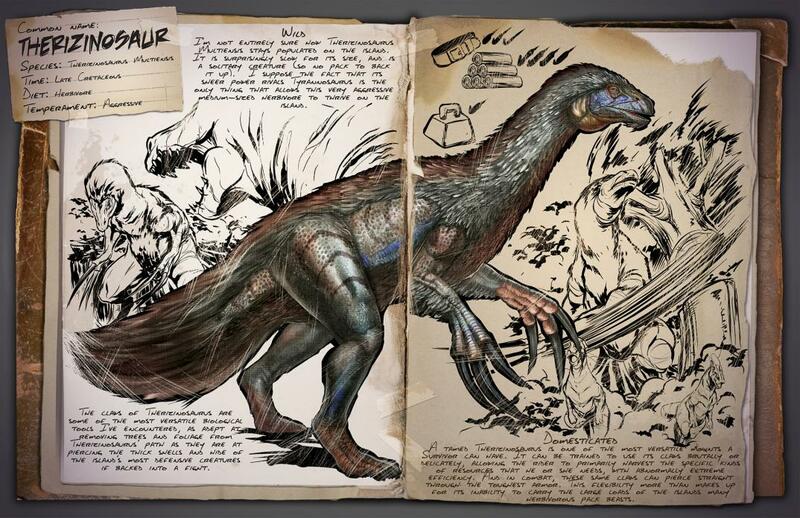 The claws of Therizinosaur are some of the most versatile biological tools I’ve encountered, as adept at removing trees and foliage from Therizinosaur path as they are at piercing the thick shells and hide of the island’s most defensive creatures if backed into a fight. 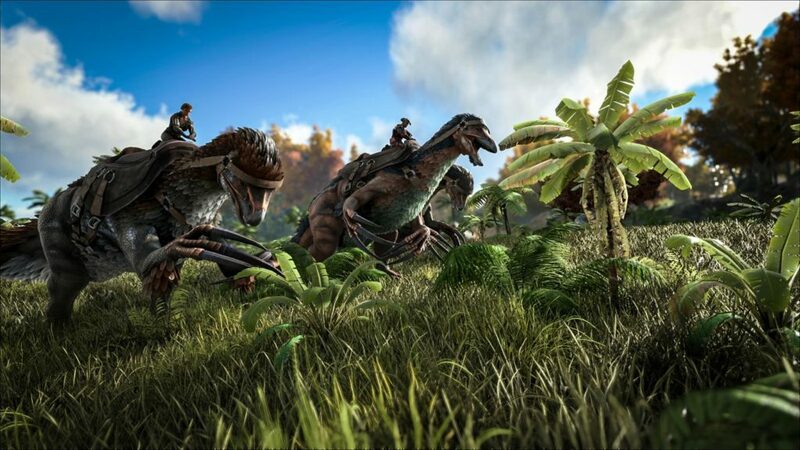 Domesticated: A tamed Therizinosaur is one of the most versatile mounts a survivor can have. It can be trained to use it’s claws brutally or delicately, allowing the rider to primarily harvest the specific kinds of resources that he or she needs, with abnormally extreme of resource that he or she needs, with abnormally extreme efficiency. And in combat, these same claws can piece straight through. The toughest armor. This flexibility more than makes up for it’s inability to carry the large loads of the islands many herbivorous pack beasts.